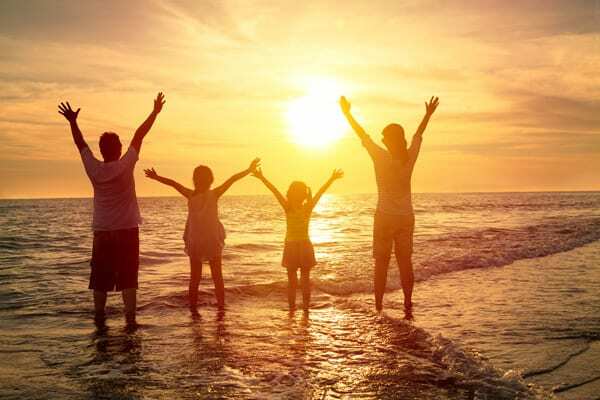 Finally the evenings are lighter and the morning rush to get kids up, dressed and everything done to get them out of the house for school and preschool is almost over or you’ve already hit the summer vacation and one of the joys of this time of the year is that you get to swap your early rushed mornings for more relaxed days and spending time as a family in the evening. 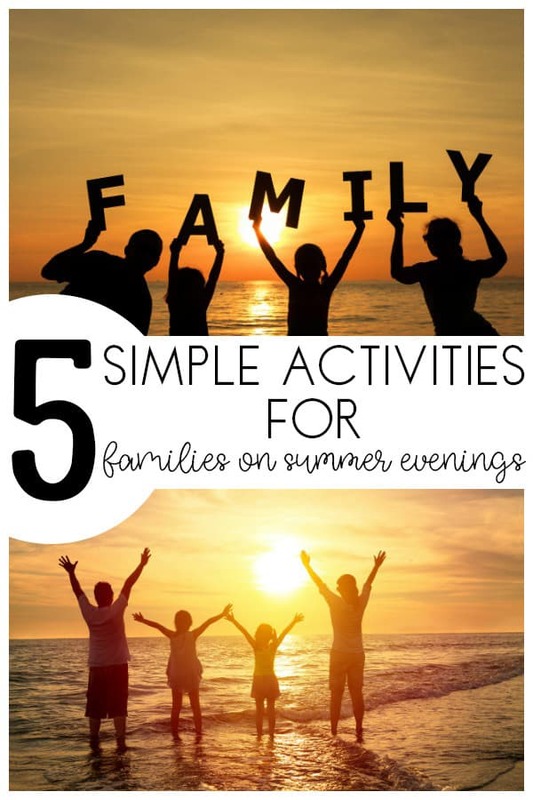 This is the first year that I will really notice it, over the year our bedtime has become slightly later and at weekends and school holidays the children are staying awake later and we get to spend time as a family so I’ve put together some of our favourite ways to spend quality family time on Summer Evenings as we welcome summer. For us Autumn and Winter as a family in the evenings means cosy time watching movies on the sofa or playing board games as the evenings are so dark (often her by 4pm the street lights have come on) the switch to Spring and Summer turns our cosy family evenings into outdoor adventures and family time enjoying the cooler time of the day and spending time daily outdoors as a family as my husband arrives home from work and we aren’t heading for the bedtime routine. Here are some of the ideas that we enjoy and work really whatever age your children are but especially if you have younger children. 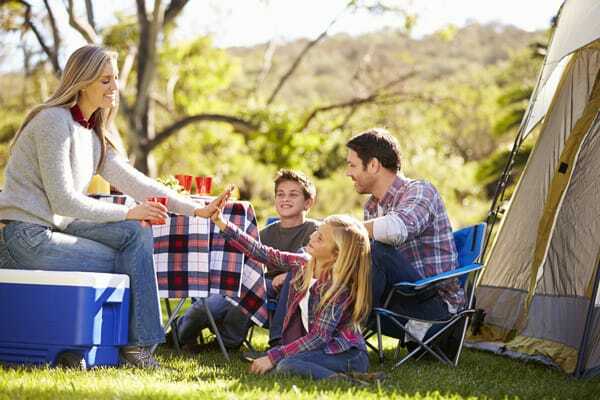 Pack a picnic dinner and head to your nearest area of natural beauty – on days when we do this I tend to give the kids a bigger later lunch and pack everything up including picnic dinner, drinks, picnic blanket and rounders set, cricket set or soccer ball then as soon as my husband walks in gets change we get in the car and head off somewhere. The woods, beach, lake and park are all of our favourites, if our weather was less temperamental in the UK I would make this a weekly outing on a Friday night to prepare us for a weekend of family time but you can never tell whether it’s going to rain or not. You could make it really authentic by serving up some of our favourite healthy picnic dishes. 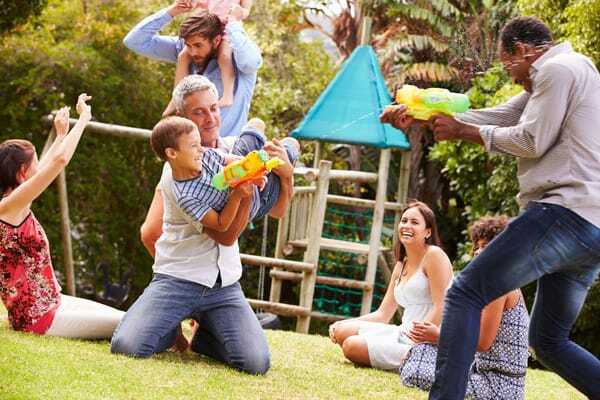 With a family of 4 we can hold a mini backyard Olympics, this started when the kids were toddlers and we have continued it now on my eldest’s insistence we race boys against girls or adults against kids. 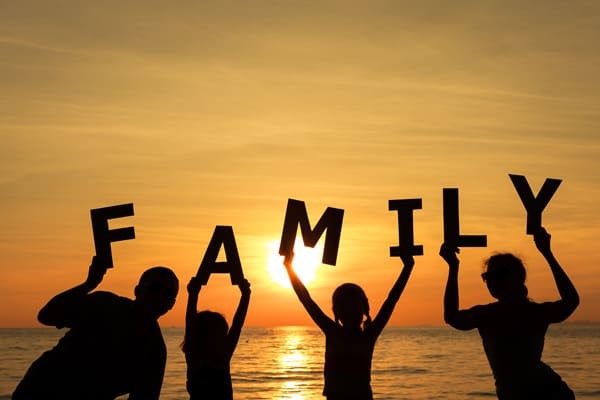 It’s fun and we get active, games such a skipping, throwing bean bags, crawling under blankets, hoopla and water balloons all turn our evenings where we would have played board games to active family fun games for all. 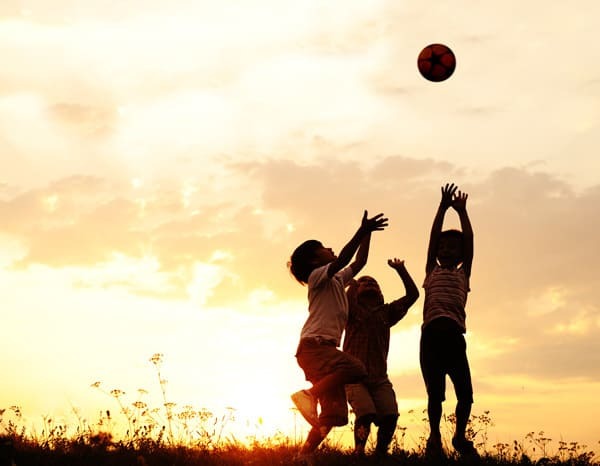 If you need more inspiration especially what sort of activities you could do with your toddlers and preschoolers then check out our Toddler Sport’s Day inspiration these simple ideas are fun for all the family to join in but especially those little ones. I was so excited as a couple of weeks ago I brought our first family tent and it’s perfect big enough for all 4 of us and the dog at the moment, we’ve used it in the garden for a camp out so far but just spending time together pretending we were in a campsite, with a mini campfire, roasting marshmallows and telling stories as well as looking at the stars. I don’t know what it is about camping but the kids were awake a lot later than normal enough to see the stars come out and we got to use our telescope and look at them and the moon but also up early to enjoy an early morning walk with the dog when there is a magical low mist over the meadow and woods near where we live. Our movie nights in the winter are a highlight and we haven’t stopped them come summer, as the sun gets lower in the sky our garden loses the bright sunshine and we’re able to watch movies outdoors – I’ve seen a few pins on Pinterest where parents have set up cardboard box cars for the kids, but we like to get cosy, a ground sheet and then duvet’s, pillows and throws and we create a movie watching nest and sit and watch our favourite family movies in the garden before bed. On days when we can’t do the Picnic Dinner, we do manage to get the dog and head to our nearest park or wood for a lovely walk and spend time together. If we head to the woods it’s a nature walk, to the park and we will take a ball for the kids to play with. In the Winter, these evening walks are restricted to a late afternoon walk and it is very weather dependent come summer it’s a nightly occurrence time for my husband to spend quality time with the kids even if he’s only seeing them for an hour between arriving home and them heading to bed. 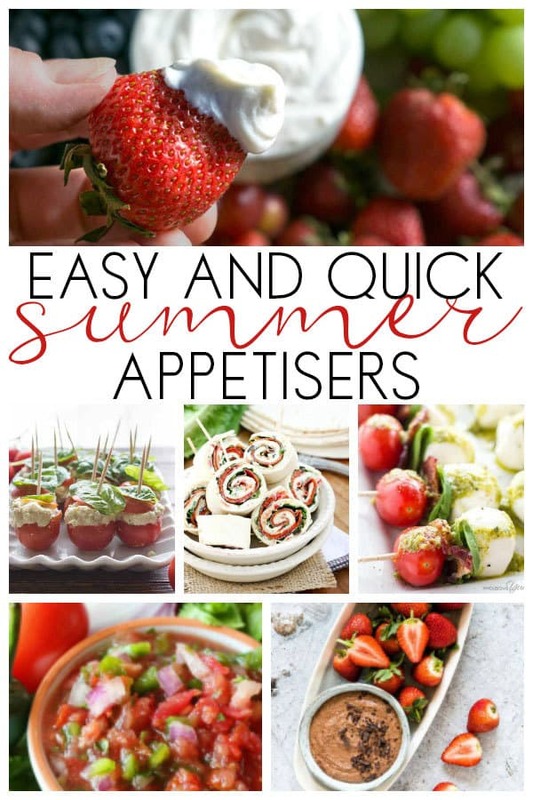 Through a Spontaneous Summer Party for friends and family get everyone together and serve some of these quick and easy Summer appetisers everyone of them takes under 30 minutes to prepare. We are planning on doing a backyard Olympics event for the holiday weekend followed by a campout! Thanks so much for these ideas, time to have some fun with the kids!! !